On my most recent road trip, my friend Brandi and I spent a couple days in Palm Springs, California. Neither of us had been before and we had so much fun exploring this picturesque corner of the world. 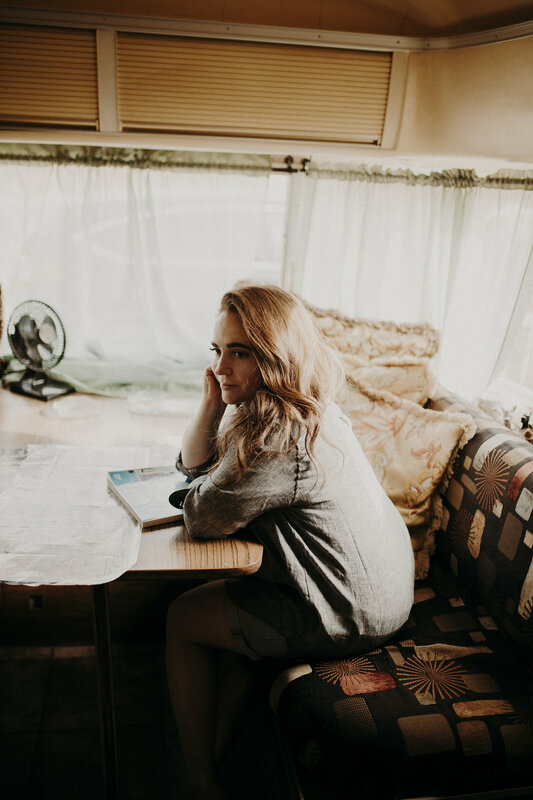 Our Palm Springs accommodation was at the Dream in Airstream, an Airbnb hosted by Sarah, in the middle of the desert. It was secluded, beautiful, and equipped with all of the basic amenities. There's even a bathtub in the front yard that can be filled with natural, hot spring water! 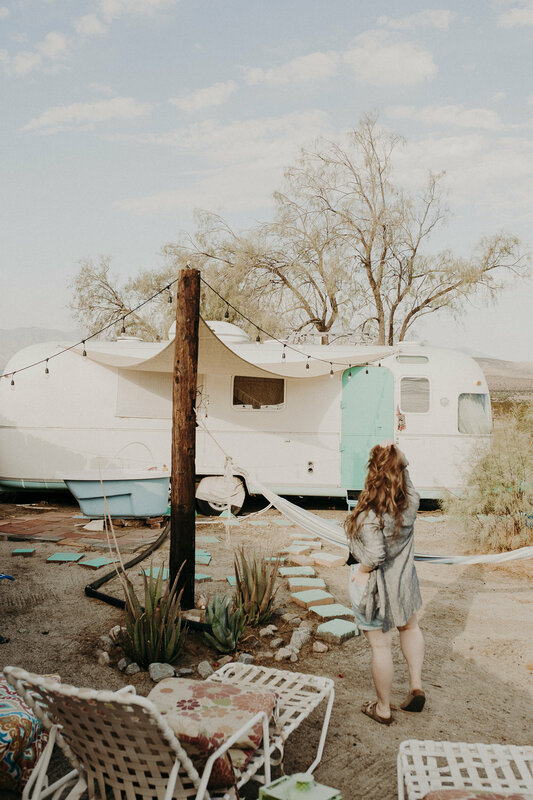 TWO First Place Winners will receive a TWO night stay a the Dream in Airstream in Palm Springs, California! Winners may book their stays on any Monday, Tuesday, Wednesday, and/or Thursday between now and November 20th, 2017. 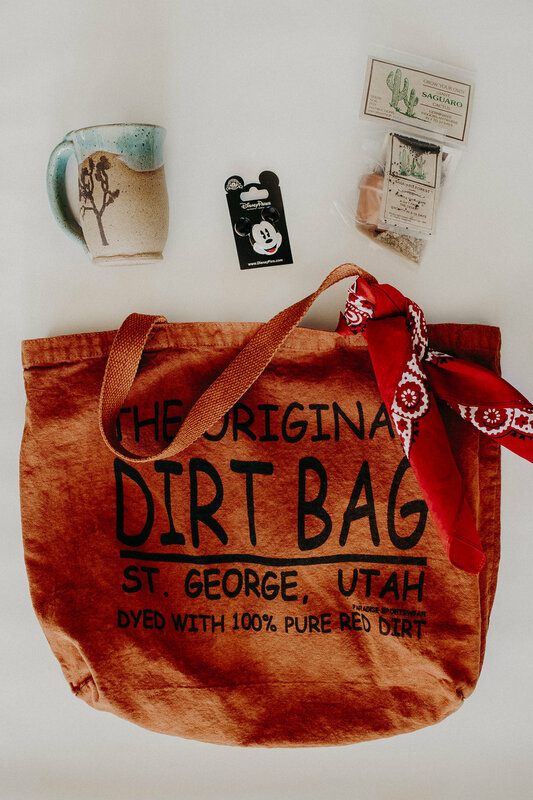 The Third Place Winner will receive the Road Trip Souvenir Swag Bag, including a tote bag dyed with natural red clay and bandana from St. George, Utah | a handmade Joshua Tree Mug from Pioneertown, Nevada | a kit to grow your own cactus from Palm Springs, California | and an official Mickey Mouse pin from Disneyland. Anyone who books a two night stay at the Dream in Airstream and mentions Gentri Lee & Brandi, will receive a third night for FREE between now and December 15th, 2017. Anyone who books a two night stay at the Hot Springs Ranch House and mentions Gentri Lee & Brandi, will receive a third night for FREE between now and November 1st, 2017. No promo is being offered for the Hot Springs Hideaway , but bookings are available!